"Many people have discovered how to live pain free." 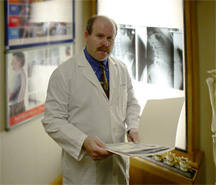 TREATMENT... As a Chiropractic Physician, Dr. Joseph Kappes is a specialist in determining the ultimate source of your symptoms and treating you to eliminate that source. This is done effectively and in many cases permanently. 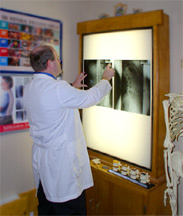 Dr. Kappes is uniquely qualified to utilize a variety of natural treatment methods. 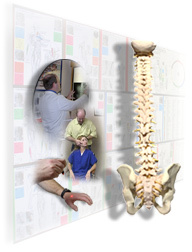 chiropractic, acupuncture, clinical nutrition, exercise therapy, physical medicine and/or sports medicine. The effectiveness of these methods has been documented by numerous research studies. CORRECTING THE CAUSE... You will not be given drugs that may cover up the symptoms temporarily. You can participate in your own special plan to relieve your pain quickly and restore your health so the symptoms don't return. Many athletes (serious and amature) utilize our services to enhance their performance and competitiveness.